The snip just above this sentence came from the SnarkAlec ZombieCon podcast. So this happened. You can click it to get to the convo on facebook. 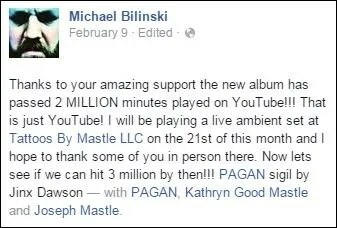 Follow officialpaganmusic on YouTube, Facebook, and G+ to keep up with new releases. And now let’s talk about why I liked Pagan’s Chapter 1: The Aftermath. I am a soundtrack collector since the 1970s and have difficulty organizing everything I have on digital, CDs, tapes, and LPs, much of which is now out of print or obsolete. Those of you who know I have the Lexx soundtracks and reviewed Nightwish’s Imaginaerem still have only the barest idea of how deep this soundtrack hoarding affliction runs. I won’t bore you with details. Well-laid music is the soul of what our eyes see on a screen. While others make games of catching editing mistakes, my brain fries over scene cuts that ram jagged character and mood themes into each other without smoothing the transition. I am not a musician and I don’t write music, but I was formally trained for years to a choir, plus I was an involved parent with my kid’s marching band, attending contests galore, so I think that counts toward having a little experience in an otherwise non-music producing background. There are musicians in my family, however, some being prolific on a number of instruments and recording software. But regardless of an audience member’s background, the most important thing with any soundtrack experience is that every ear in the audience becomes ‘tuned’ to what one is also viewing, if you will, whether that ear is trained or not. The final test of any soundtrack is how the audience felt about it. I feel very strongly about soundtracks being edited well. They say music soothes the savage beast, and I’ve used music therapy as a catharsis during many years of severe insomnia. Experimentation has led me rigorously through both headset and pillow testing as I learned to release my body and float into the sound in my mind, randomly visualizing my way into lucid dreaming states, a huge relief for my brain. I became so acquainted with some soundtracks that I could use them as relaxation devices in my mind, even if I wasn’t actively listening to them. My inability to produce music myself belies my incredible audio memory. I know some of you won’t believe this, but I can run several memory music tracks at the same time in my brain, like Data on STNG, and I can speed up and slow down memory playback, or change to different pitches and cadences and still run through the music memory like a recording. 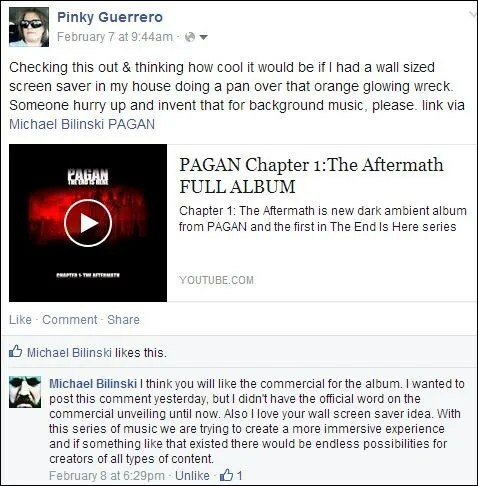 I am able to compress Pagan’s Chapter 1: The Aftermath in my head and make it sound the same way as a 33 LP on 45 speed. What I love about this soundtrack is the feeling I get of distressed girders almost immediately, thanks to the initial cover art prompt hinting at some kind of devastation. The first thing the eye sees is torn structure against a hazy orange background, a picture of doom. As I shut my eyes and float into the music, I float into the aftermath- the visuals remain darkish, orangeish, garish urban noises replaced with the pressing weight of time passing on a broken world. Or maybe I feel the lurking stillness of time no longer passing, since the world has stopped. But the music carries me, lurking. I am there. I am in a world that long ago became oblivious to being seen. At 9:35 I suddenly feel at home. This is reminiscent of the Lexx flying over a dead world. Not the same, not at all, but the same feelings. 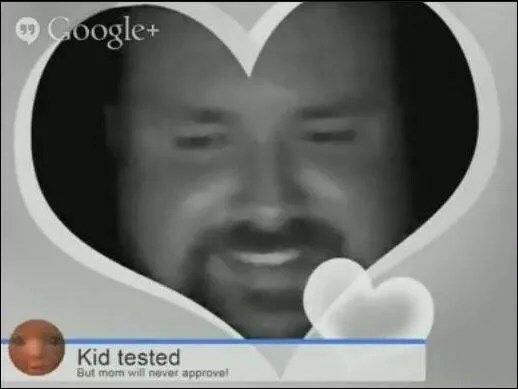 Haunting. Maybe sad, but who is left to be sad for? I wonder, once again, if part of what draws archaeologists to their field is that feeling of immensity of loss. Someone was here. By this time I am so part of this track that I’ve completely forgotten my body, I haven’t felt the headphones in awhile, I’m simply somewhere else. With this track I’m able to stay somewhere else much longer than some other tracks. I can stay deep without dreading an abrupt change. I am able to continue floating without having to be aware that I’m not really there. This is what I crave. This track is its own experience. I’m not able to take much in the way of pain meds, and I no longer use narcotics, mood enhancers, and muscle relaxers. I’m on my own. It’s crucial that I find really good soundtracks to get me through my hardest days. THIS is one of them. I can put the headphones on and float away into a world that doesn’t require me to pump out brain chemicals counterintuitive to healing. I’ve combed through new age, spa, electronic, and other music for years, looking for content that I can adopt into my own healing process without feeling pressured. At 23 minutes in there is a light swish of mood that feels just like a massage technique, except it’s only in my brain. The art of massage is partly about nerve gateways. Well, the brain is nerve central. I am really liking the way this track hovers over my nerve central, like the orange haze hovers over the broken city. Am I the city now? I thought I was the haze. I watch the haze lurk around the timeless buildings. At 36:40 my lucid state is so free that I am able to glide on the sound changes into all new visuals. By 39 I have been transitioned off planet, watching endless time ever moving, not feeling part of it. You get the idea. Whatever you use music for, this one is a keeper. I don’t know if Pagan is so tuned into brainwave patterns that they struck gold with their ambient creation or what. 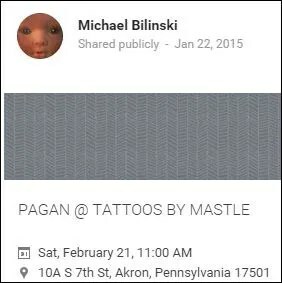 Kind of makes me want to find out more, but ‘Pagan’ has such common usage that it’s difficult to sift out this actual Pagan from all the Pagan material search engines bring up, but it’s there. I’ll give you a couple of links to check out. And if you’re looking for more, of course there’s MOAR. Here is a little taste. You’re welcome. By the way, there’s this thing on the 21st. These snips click to the info sources. I don’t know yet if there is a link to a live event feed, but if one shows up, I’ll come back and put it here. This entry was posted in entertainment, review and tagged music, Pagan, soundtracks. Bookmark the permalink.